Eggs keep you satiated so that you don’t overeat later. They are great sources of complete proteins and have a high satiety value which measures the ability of the food to reduce appetite and increase fullness. Add soft-boiled eggs to salads for a healthy protein-enriched meal and you’d thank God. 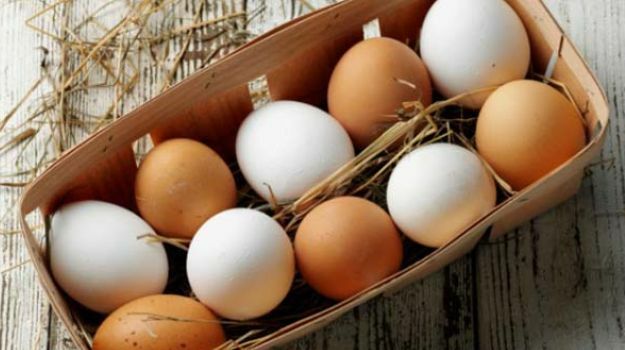 Eggs help in boosting the metabolic activity of the body. “Evidence suggests that during digestion, egg proteins are converted into peptides that help lower blood pressure. In addition, most of the fats in eggs are mono-and polyunsaturated, and other fatty acids called phospholipids help reduce the absorption of cholesterol. Eggs are decently low in calories. A large egg contains only about 78 calories (with the yolk). If you want to shed some extra pounds fast, you can leave the yolk and whip yourself a yummy breakfast with just the whites. However, studies have also indicated that even the yolk is dense in nutrients, and may not hinder your weight loss goals. If you engage in a lot of physical activity such as workout, the level of protein in your body is likely to drop. This loss can be fulfilled with the help of an egg every day. One hard-boiled egg has 13 grams of protein and your body needs this to function.